What a cool moment that reinforces how much sports can make you feel, Derrick Rose fighting back tears walking off the court as teammates pump him up after a 50-point game few expected he had left in him. Great moment in Minnesota: Rose records his first career 50-point game, gets the game-saving block and is immediately swarmed by teammates with tears going down his face. I dont mean to overreact but Derrick Rose is a Legend after tonight. The tears say it all.. the kid was fighting an inner battle for a long long time and tonight he won. This is what sports are all about ladies and gents. Brock Lesnar drove much of the emotional discussion during the WWE Crown Jewel pay-per-view event, which generated 54,184 ERs. 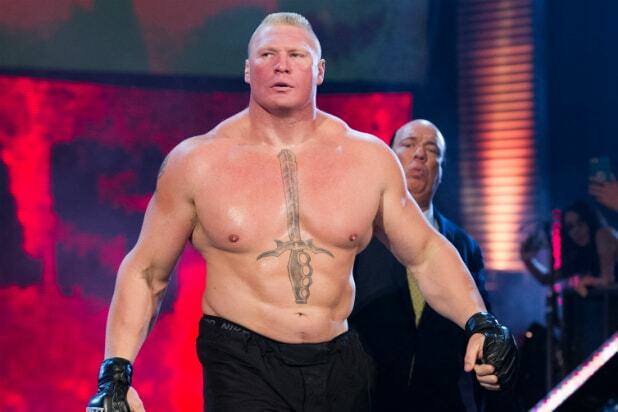 Lesnar went up against Braun Strowman for the WWE Universal Championship and emerged triumphant, after hammering him with five F-5s (one of Lesnar’s signature moves where he lifts an opponent onto his shoulders, spins around and throws him on the ground). Viewers had mixed feelings about the event as a whole, with many shaking their heads at the planning and results. An episode of “Grey’s Anatomy” on ABC had viewers moved to the point of 11,049 ERs. Although main character Meredith Grey (Ellen Pompeo) inspired her fair share of the conversation, it was the long-departed Derek Shepherd (Patrick Dempsey) who drove viewers to tears. The episode had a noticeable “Día de los Muertos” theme and featured various characters, including Derek, who had died on the show, a tactic that clearly pulled at fans’ heartstrings and generated all the feels.